The world of cinema has lost a titan as the announcement came today that Pulitzer Prize-winner Roger Ebert, one of the most popular and influential film critics in America if not the world, has died due to complications stemming from a recurrence of the cancer he's battled the past few years. The sad news comes just a day after Ebert had announced he would be taking a step back from his film reviewing duties for the Chicago Sun-Times, where he has been a fixture for over forty years, to focus on his treatment. Ebert gained widespread fame as a critic through television on the film review program known variously as Sneak Previews, At the Movies, or Siskel & Ebert on which, along with fellow critic Gene Siskel and later Richard Roeper, he helped popularize the 'thumbs up/thumbs down' gesture as a form of movie evaluation. And just as it signified life or death for defeated gladiators in the Colosseum, that gesture could play a large part in determining the fate of many movies. Countless poster and trailers have trumpeted Ebert's 'thumbs up' as a signal of cinematic quality and many filmgoers no doubt based their film selections on those recommendations. I vividly remember getting up early every Saturday morning to watch the show and see what Roger and Gene would think of the week's newest releases, often finding myself expressing self-righteous outrage at their judgments. How could he recommend Speed 2!?! How dare he not appreciate the cinematic greatness of The Usual Suspects!?! Thankfully watching Ebert's friendly feuds with Siskel and listening to how they supported their views helped me grasp that most important lesson that all film fans would do well to learn: not everyone is going to agree with you... and that's ok. In fact, Ebert made such discrepancies entertaining and enlightening and in the many years the show ran, he not only made me aware of films and filmmakers I had never heard of, but demonstrated new ways to appreciate them. There are many who have argued the program's 'up/down'-'good/bad' dichotomy has contributed to a dumbing down of film criticism but I think anyone who would characterize Ebert's legacy that dismissively need only look at his written reviews to see that's not the case. Even if you disagreed with his opinions (and as noted above, I certainly did. A lot. ), he always expressed them using a writing style that managed to be funny, conversational, and insightful all at once. He could be self-aware without being egotistical, always keeping his focus on his subject itself while grounding his views in a personal perspective. But his activities as a critic went well beyond mere write-ups of whatever was opening at the theater on a given Friday. 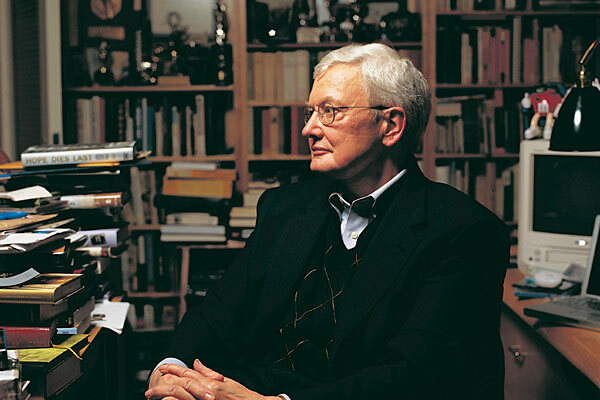 A glance at his website shows other thoughtful content such as his Great Movies Series, a collection of essays spotlighting diverse films Ebert felt achieved true excellence and placing them in a wider cinematic context. His Movie Answer Man column invited readers to share their questions and views regarding specific films and elements of the moviegoing experience and his Glossary of Movie Terms offered fun explanations of goofy movie tropes. Every year he'd hold a contest to outguess his Oscar predictions, which I never did very well on. 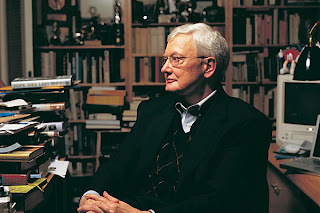 He also established Ebertfest, the annual film festival he programmed and hosted that helped provide exposure and attention to movies he felt had been unfairly overlooked during their theatrical runs. Throughout all of these endeavors, I think the quality that shines through most is a genuine and tireless love of the medium itself. Roger Ebert loved movies and used every moment of his career to celebrate their achievements, history and potential. In doing so, he passed on that love and passion to several generations of moviegoers, a contribution to cinema that cannot be overstated. Alas, the balcony is truly closed.